Antique style elegant jewel necklace. 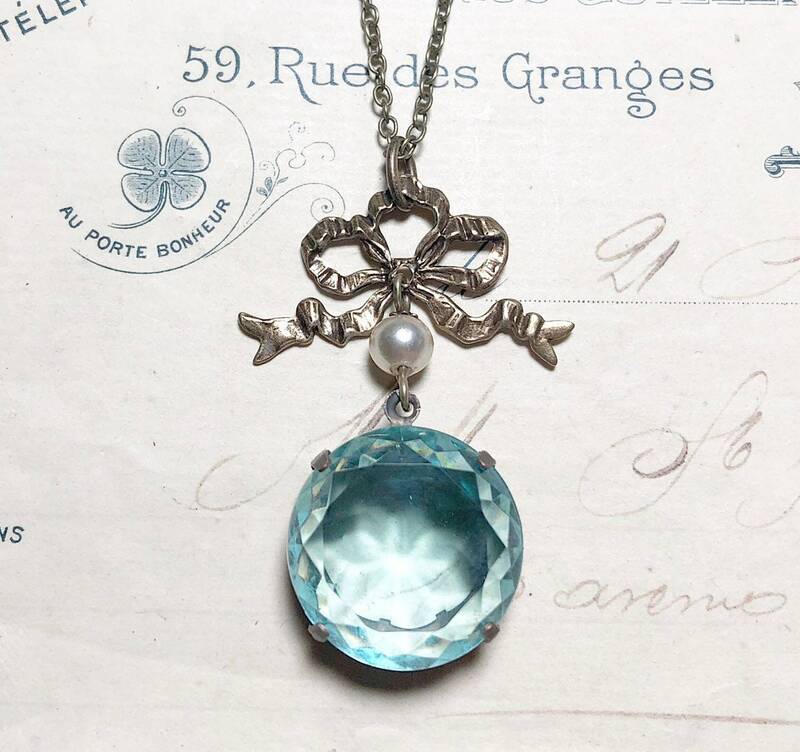 The large aquamarine blue, vintage Czech jewel measures 20mm in diameter. 18 inches long. Any length is available upon request for no additional charge, just add a note when checking out.